There is no end of things to do in Port Stephens, one of the most beautiful stretches of Australia’s east coast. Port Stephens isn’t a town, rather a vast natural harbour, and Nelson Bay is the main town. For dolphin watching Nelson Bay marina is the departure point, as a resident colony of over a hundred means you’re nearly always guaranteed a sighting on a Port Stephens dolphin cruise. 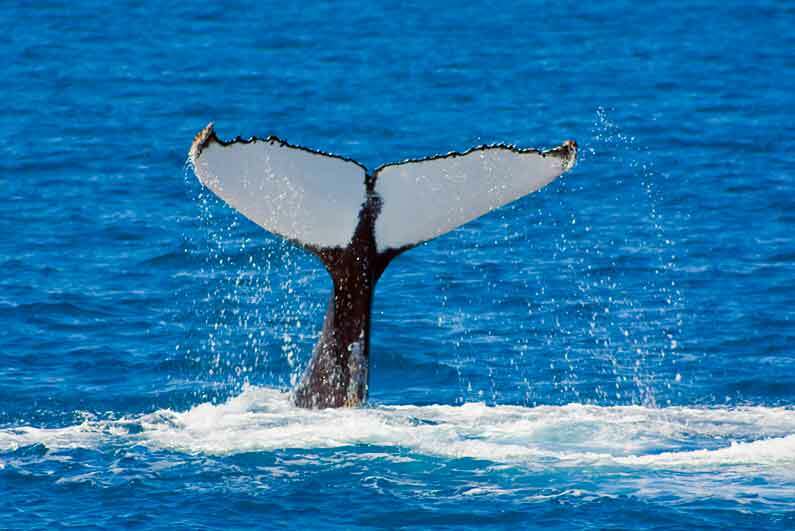 For whale watching, Nelson Bay is again the place to go, with cruises departing throughout the migration season. The clear, pristine waters of the harbour and surrounding coast are the place for many Port Stephens activities, including snorkelling and diving. There are also some outstanding Port Stephens beaches to visit, including Zenith beach and Fingal Bay in Tomaree National Park. So here’s our lowdown of the best things to do in Port Stephens. Port Stephens is known as the dolphin capital of Australia. And here you can have the amazing experience of swimming with dolphins in the wild. When it comes to dolphin watching, Port Stephens has a bit of an advantage, with its residents nearly always obliging and making an appearance for visitors. The Port Stephens dolphins are incredibly gregarious creatures who enjoy playing with the cruise boats by swimming alongside. Moonshadow Cruises Nelson Bay and Imagine Cruises both offer trips year-round, and often attach a boom net to the back of the boat where you can sit and hold on in the hope you might get up close to some of these amazing creatures. For swimming with dolphins, Australia has operators offering this experience at coastal locations as far afield as Cairns, Adelaide and Perth. 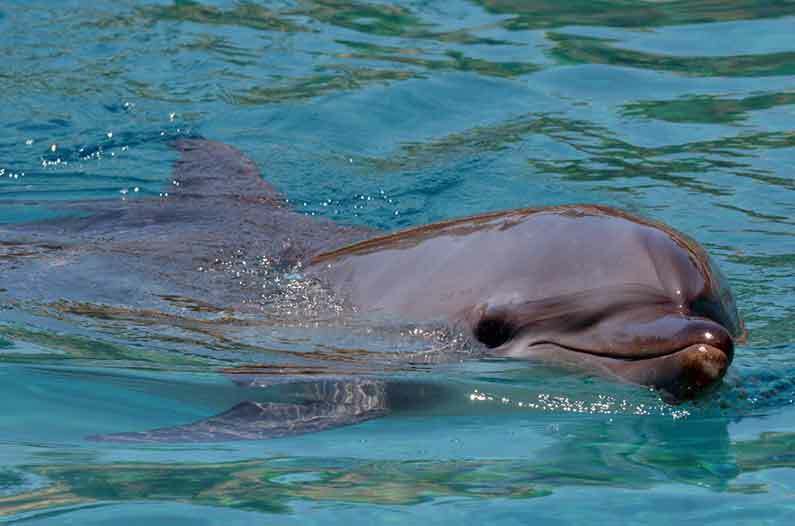 Swimming with wild dolphins is an activity that appears on many people’s bucket lists, and one Nelson Bay cruise operator, Dolphin Swim Australia, offers the maximum chance of a close encounter with dolphins. Cruises last much longer than the standard two hours, and depart around sunrise, usually the calmest time of day, and the time you’re most likely to get up close with the wild dolphins. Some snorkelling ability is needed, simply because most of the action takes place below the water surface. Passengers normally take it in turns to go in the boom net, so everyone gets a turn and because holding on is tiring work for the shoulders and upper arms. For whale watching Nelson Bay is one of the most popular places in east coast Australia to go on a whale watching cruise. The Port Stephens whale watching season lasts from May to mid-November (autumn to spring), during which time humpback whales migrate northwards from the Southern Ocean to warmer waters, making the return journey southwards in springtime. It’s common to see whale-watchers standing on the NSW coast peering for possible sightings through their binoculars, but a whale watching cruise will get you closer to these majestic creatures. Nelson Bay cruises to watch whales tend to last three hours. Snorkelling Port Stephens can be as rewarding a way to see the harbour as staying above the water. The harbour and coastal waters from Anna Bay all the way to Forster comprise the Port Stephens – Great Lakes Marine Park, where the pristine habitats are protected and wildlife flourishes. Fly Point Aquatic Reserve, on Victoria Road, is the best-known snorkelling site in Port Stephens, and it’s possible to join a course to learn the basics there. Diving is the natural progression from snorkelling, the difference between the two is that snorkelling is an activity that is just below the water surface, whereas in diving you explore further underwater. It’s also possible to go on a boat dive offshore. If you still haven’t decided what to do in Port Stephens, consider some other watersports you can try out in the area. You can learn to surf at the Anna Bay surf school, close to Stockton sand dunes. Back in the harbour, you could give stand-up paddleboarding (often abbreviated to SUP) a go from the lovely sheltered beach at Shoal Bay. Or for something a little less sedate, you could try parasailing – flying through the air in a parachute with a speed boat pulling you – regular flights leave from Nelson Bay. The Worimi National Park is part of the traditional homeland of the local Worimi people, a vast mini-desert of sand dunes and beach 32 kilometres (19 miles) long, stretching from Birubi Point, close to Anna Bay, all the way to Stockton, which faces the city of Newcastle across the mouth of the Hunter river. It is the largest moving sand mass in the southern hemisphere. These Port Stephens sand dunes are an incredible environment for activities. Port Stephens 4WD tours depart from the sands below Birubi Point, and they take you through this fascinating place, showing you the remarkable Tin City, a tiny settlement of fishermen’s shacks made out of corrugated metals and all kinds of scrap including conveyor belts from nearby coal mines. These are still lived in some of the time, and Tin City may be familiar to some as the setting for some scenes in the 1979 film Mad Max. The vast beach recently lost a well-known landmark, the MV Sygna shipwreck which used to be near the western end of the sands. This was virtually destroyed in a June 2016 storm. You may be able to drive Stockton dunes yourself. 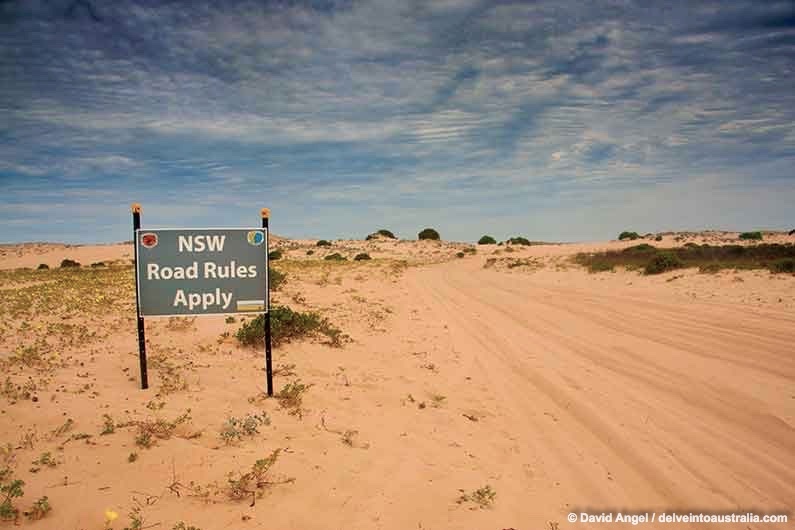 In order to enjoy the 4WD Port Stephens experience, you need to acquire a day permit or an annual permit, which are available from a number of places in the Port Stephens area. Stockton Dunes also offers the opportunity for some amazing adventures and activities. You could try a camel ride – Port Stephens has Oakfield Ranch, who take groups out four days a week through the year, and every day during school holidays. Standard rides are 20 minutes, and there are also sunset rides lasting an hour. Sand Dune Adventures also offer a number of ways to explore the Worimi Conservation Lands. They include sections on Aboriginal heritage, showing some of the shell middens accumulated over 10,000 years and more which are visible in the ever-shifting sands. They also demonstrate digging for fresh water, which is available in an aquifer not far below the surface of this seemingly arid environment. For quad biking Port Stephens, they also offer tours between one and two hours in length. 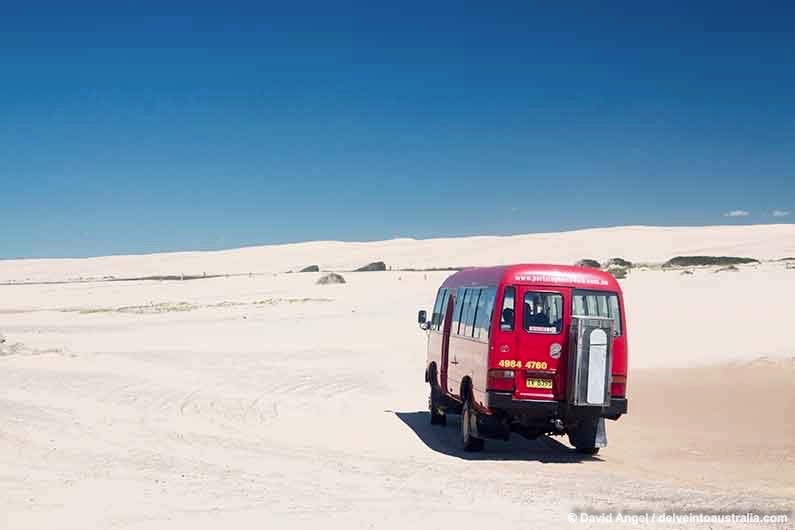 If you’re interested in sandboarding Port Stephens, it’s worth looking at Port Stephens 4WD’s offer, which gives you as much time sandboarding in the dunes as you want, with an outward and return shuttle bus included. The Tomaree Head lookout is one of the most amazing viewpoints on the New South Wales coast, and it’s top of the list of Shoal Bay things to do. The Tomaree Head summit walk takes around twenty minutes from the car park in Shoal Bay, winding and climbing through the forest before reaching two clearings near the top, both with astounding views over Zenith, Wreck and Box beaches, as well as Fingal Spit (currently re-accumulating after storm damage). There are remains of a fort on the summit, and even more views, this time across the harbour to Yacaaba Head. The last time I went up there I sat at one of the benches to savour the view for a while, and after ten minutes I realised I had a slumbering goanna underneath for company. A magical place. 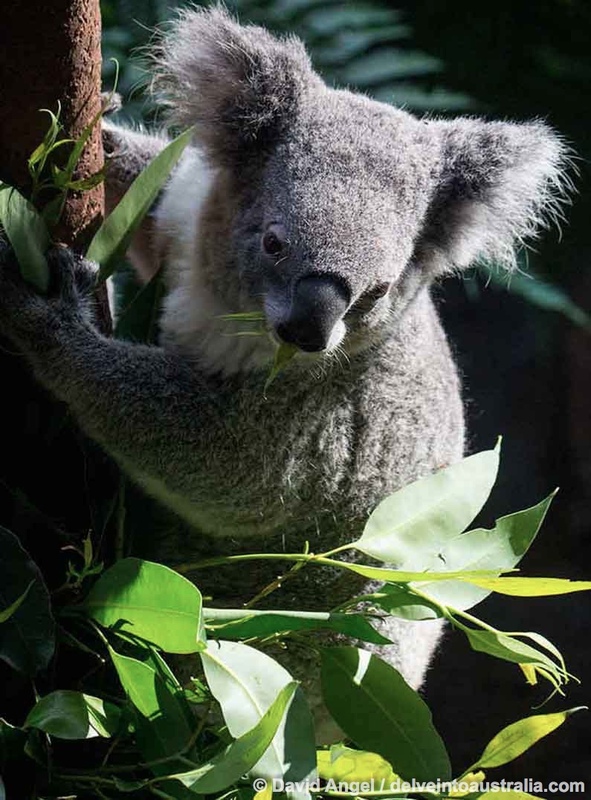 Oakvale Farm and Fauna World is a great attraction for kids, and here they can encounter a huge variety of creatures, from the usual Australian suspects (kangaroos, wallabies, wombats and, of course, koalas), through to milking cows and feeding farm animals. There are also birds and reptiles to discover. You can also book closer encounters with some of the animals. If the kids still have energy to burn, the Splash Bay water attraction is the place to do it. Cookabarra Restaurant serves up a mostly seafood menu, with an emphasis on barramundi which is farmed next door. You can tour the farm, and kids can feed or play with the fish. You can see them at all stages of development, from soon after birth to plate-readiness – a good way to explain the life cycle to kids. Five varieties of delicious macadamia nut are farmed at Medowie Macadamias, and you can stock up at the farm shop or enjoy something from the café, which has several dishes on the menu including their produce. The macadamia mango chicken salad sounds good to us. 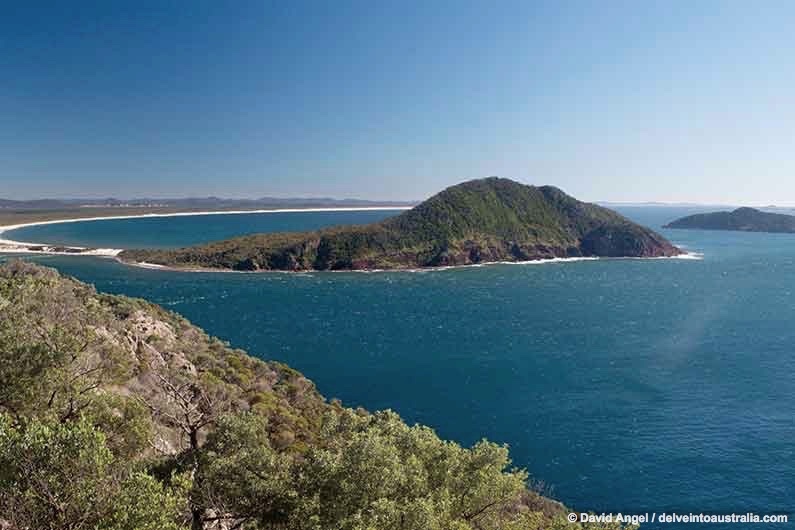 Broughton Island is a lovely remote island off the coast to the north-east of Port Stephens, and is part of the Myall Lakes National Park. The north side of the Port Stephens harbour is much less developed than the south side, with less visitors, but coastline just as pristine and stunning as across the water. The Port Stephens ferry takes you across the harbour to the twin villages of Tea Gardens and Hawks Nest, and these offer a gentle introduction to the wonders of this stretch of the Mid North Coast of New South Wales. Glorious Bennetts Beach is just the beginning, and the walk up Yacaaba Head, at the entrance to the Harbour – is a wilder affair than the one up Tomaree Head. From here, the sand seems to stretch forever, and the Myall Lakes National Park beckons beyond. The ferry trip gives you time to get to the beach and enjoy the coastline for an hour or two, otherwise they offer lunch specials in conjunction with a local hotel. There is a huge range of Port Stephens accommodation, catering to all budgets and tastes. At the top end of the market, the likes of Anchorage Port Stephens and Marty’s at Little Beach are among the most popular Port Stephens hotels. The Retreat Port Stephens offers something very different, with accommodation in cabins and bungalows in a beautiful bush environment a short walk from Stockton dunes. There many options for places to stay in the area, including several Port Stephens resorts, a number of Port Stephens holiday parks, a lovely youth hostel down at Samurai Beach, and plenty of Port Stephens camping options. Airbnb Port Stephens also has a good range of apartments and houses available. There are some great places to eat in Port Stephens, with several in and around Nelson Bay, and some spread out further around the area. For lunch or dinner, the Little Beach Boat House enjoys a wonderful setting looking out across the harbour, and the menu focuses mainly on fresh local seafood. You find this wherever you’re eating out in Port Stephens. Crest Birubi Point, on the edge of Stockton sand dunes, is open for breakfast and lunch, with an amazing panorama over the vast beach and dunes. Another daytime option is the Inner Light Tea Rooms at Nelson Head Lighthouse, overlooking the fine beach at Shoal Bay. This is a great spot for lunch or morning or afternoon tea. 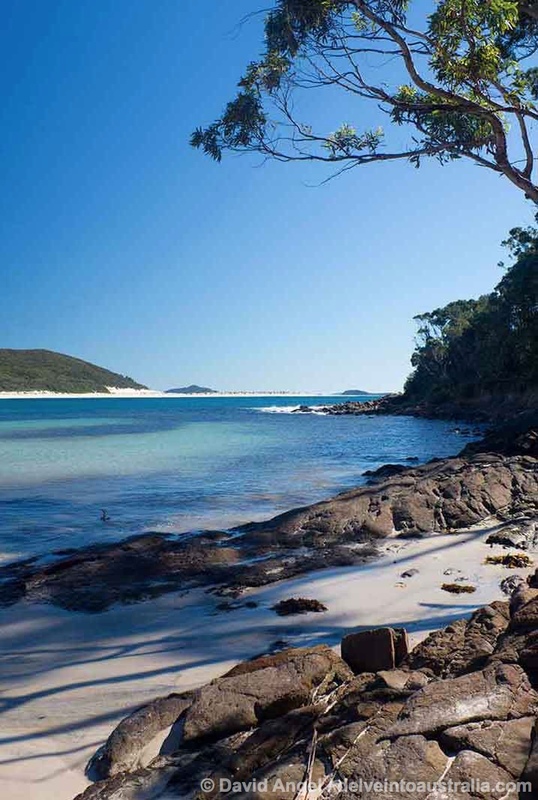 Port Stephens day tours are a great way to get an introduction to the wonders of the NSW coast. Many run from Sydney, and usually include a dolphin or whale watching cruise and a tour of the Port Stephens sand dunes, departing from Birubi Point. Some cram in a trip to the Australian Reptile Park on the Central Coast as well, but we’d draw the line at the Port Stephens attractions and activities. 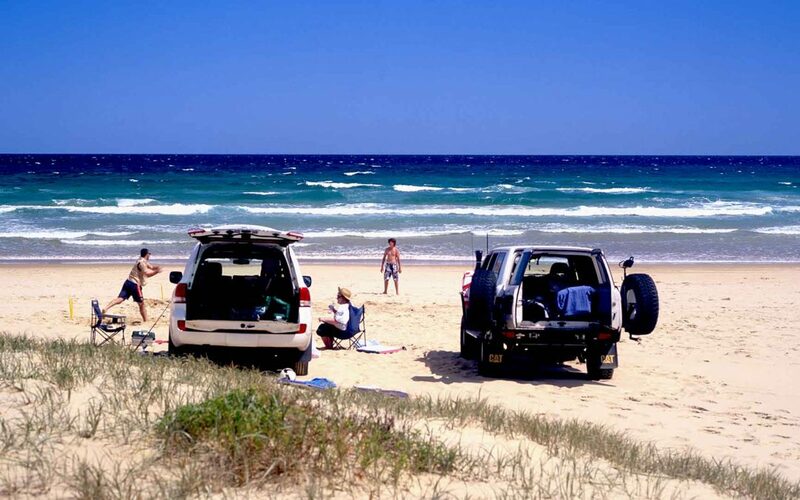 You get more time on the dunes, and also see some of the Port Stephens beaches and coast. The YHA in Port Stephens also has good packages in tandem with local operators.